Tuesday, April 10, 2012, 6:00-8:00 p.m. Registration opens at 5:30 p.m.
Reserve by Thursday, April 5, to receive discounted early bird rate! Leaders in organizational settings are increasingly aware of the importance of new ways of thinking as essential for competing in the new informational global economy and networked society. Business at the dawn of the 21st century offers managers the opportunity to pay attention differently, both individually and collectively, in order to bring about the profound systemic changes so needed to succeed in the current turbulent, complex and rapidly changing global context. Nancy will share a framework for the topic of Leadership from Within Change. She will focus her opening remarks on the framework known as Theory U by Dr. C. Otto Scharmer. Theory U offers an exciting and timely way of thinking about leading change in the new global reality that is emerging. Join us as Nancy leads a conversation on using the Theory U process to lead organizational change within the larger context of increasing global change, complexity and uncertainty. The U image depicts five levels of change that can take a department or organization from a challenge to a solution by a process that moves from shared perception to collective action. The deepest level of the U curve accesses the future that wants to emerge and is referred to as ‘the U process’ and rests between developing a shared perception and co-creating shared action. Understanding the four ways of responding to change (reacting to issues, redesigning structure and process, reframing the problem, and presencing, or learning from the future as it emerges) and be motivated to try the fourth. Understanding the five movements, or aspects of moving through the U process, and consider applying them to a current change initiative. Understanding the power of the right-hand side of the U, or integrating head, heart and hands in practical ways. ISPI will raffle off Scharmer’s Theory U: Leading from the Future as it Emerges (2007). Dr. Wallis interweaves academic pursuits and the practice of leadership in organizational settings. She has a wealth of experience from her 30 years as senior leader, project manager, consultant, administrator and mentor, always with a larger goal of improving leadership capacity and organizational performance. She earned her PhD at Fielding Graduate University and her MBA and MSPH at UCLA. 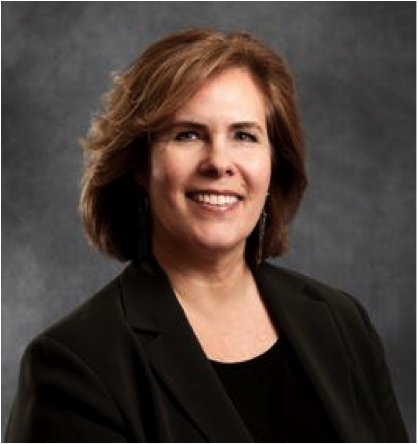 Currently Associate Dean for the School of Human and Organizational Development at Fielding Graduate University, she is committed to the study and practice of leadership that improves the quality of human lives. She balances her academic roles, research, writing, consulting and speaking engagements with a keen interest for inquiry into how we may enact organizational leadership in which personal and collective transformation are engaged. She works with Brainard Strategy where she helps organizations realize individual, interpersonal and systemic transformation. “We engaged Brainard Strategy to help us develop the foundation of a leadership development program for our senior leaders and potential successors. Michael and his team helped us flush out the key competencies for our current and future leaders and built a comprehensive leadership model. Our leaders participated in a 360 feedback process and received one on one consultation and coaching to analyze strengths and areas for improvement. The initial stage of the program culminated in a two day off-site retreat where Michael spoke to the group at large and challenged them to step outside of their comfort zones and actively embrace their leadership role.